Gerber E-Tool with Pick 22-01945. 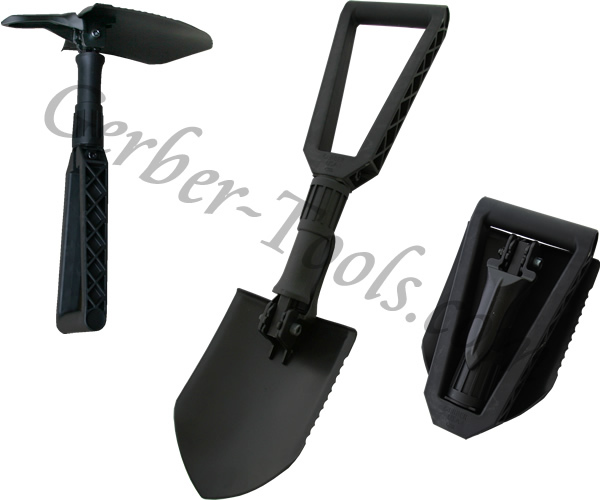 The Gerber E-Tool model 22-01945 is a folding spade that has a built-in pick on the opposite side of the serrated blade. It weighs a little over two pounds. 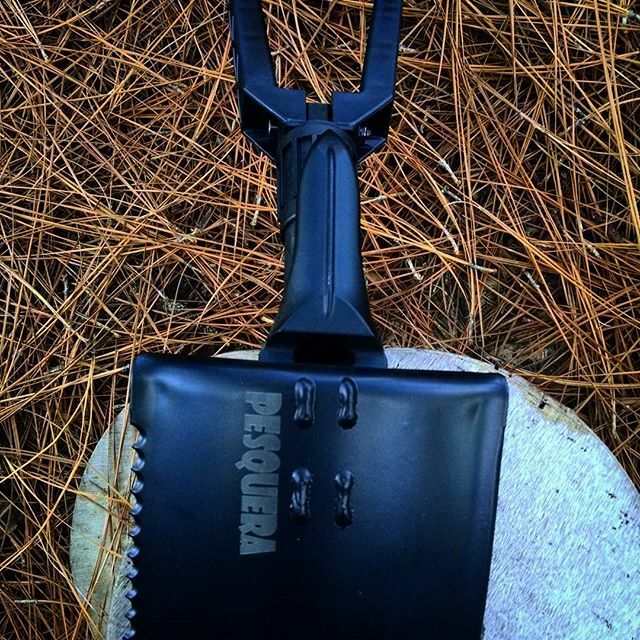 The shovel head has one side with serrated teeth for your tougher jobs. It folds into itself so this is really compact and can easily fit into your back pack. Ready to go with just two sides to open up into your full length shovel.